A study conducted by a team of researchers at the Harvard T.H. Chan School of Public Health has found that for women with an increased concentration of a common type of flame retardant in their urine, there is a decreased possibility of clinical pregnancy as well as live birth when compared to those with a lower concentration. This study, which was conducted in the Fertility Clinic at Massachusetts General Hospital, is the first of its kind to examine links between women’s reproductive outcome and organophosphate flame retardants (PFRs). PFRs are a type of flame retardant that are mostly used in polyurethane foam in many products, such as, upholstered furniture, gym mats and baby products. Courtney Carignan, the lead author and a research fellow at Harvard Chan School said: “These findings suggest that exposure to PFRs may be one of many risk factors for lower reproductive success. 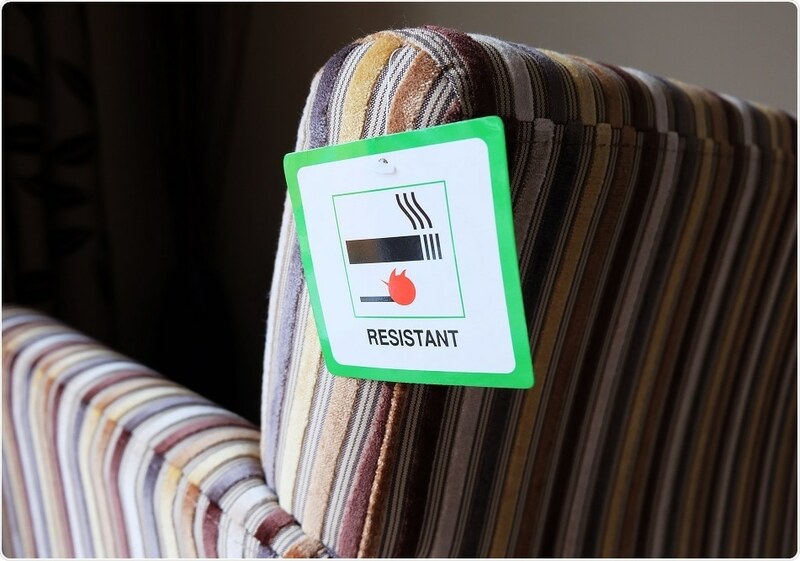 They also add to the body of evidence indicating a need to reduce the use of these flame retardants and identify safer alternatives." Across the globe, 1 among 6 couples struggle with infertility, and with the increase in the numbers of couples in the developing countries who delay child bearing, this proportion is expected to rise. Prior researches have indicated an association between the exposure of products which contain chemicals that are hormone-disturbing (for example: pesticides and phthalates) and infertility as well as reduced reproductive success. PentaBDE, a flame retardant used in polyurethane foam – was identified to have an association with negative impacts on health in animals as well as in epidemiologic studies and so was phased out over a decade ago. Even though PRFs were brought in as a safer substitute, in animal studies, they had been identified to cause hormone disruption. Studies had also revealed that the PFPs could travel out of the furniture as well as other products to reach the air and dust present in the indoor environments. In this research, samples of urine from 211 women who were undergoing in vitro fertilization (IVF) during the period from 2005 to 2015 at the Massachusetts General Hospital Fertility Center were analyzed by taking factors such as race, maternal age, body mass index (BMI), and smoking history into consideration. These participants were already a part of the Environment and Reproductive Health (EARTH) study that aims to identify how the environmental chemicals and lifestyle choices impact the reproductive health. In over 80% of the participants, urinary metabolites of three PFRs (TDCIPP, TPHP, and mono-ITP) were detected. Also, it was found that, in comparison with women who had a lower concentration of these metabolites, women who possess greater concentrations had approximately 10% decreased chance of successful fertilization, 31% decreased possibility of embryo implantation, 41% decline in clinical pregnancy (confirmed by fetal heartbeat through ultrasound) as well as 38% decline in live birth. Russ Hauser, a senior author of the study, comments that those couples who are undergoing IVF and are trying to enhance their possibility of success by reducing exposure to environmental chemicals should choose flame-retardant free products. According to the researchers, to identify the possible effects of these chemicals on male partners and combined effects on both women and men, further studies are needed.